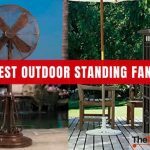 In addition to keeping cool, the best tower fan is a compact unit with sleek design and interesting features. 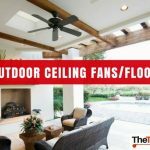 I personally prefer a tower fan to a ceiling fan mainly because I can move it wherever I want and change the direction of moving air toward any area of the room as well as the mighty blast of the air that you can get from a tower fan ! Most of tower fans have the ability to oscillate so that air is blown in 90 degree angle. They are usually tall and narrow which is a design feature making them easy to fit in tight areas of the room. Some models are adjustable and can be made even taller. Use our reviews to check the features of each one and pick the best tower fan that suits your needs. What features are important to you in your next tower fan ? 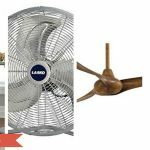 Are you looking for a fan with remote control, many speed settings or oscillation? 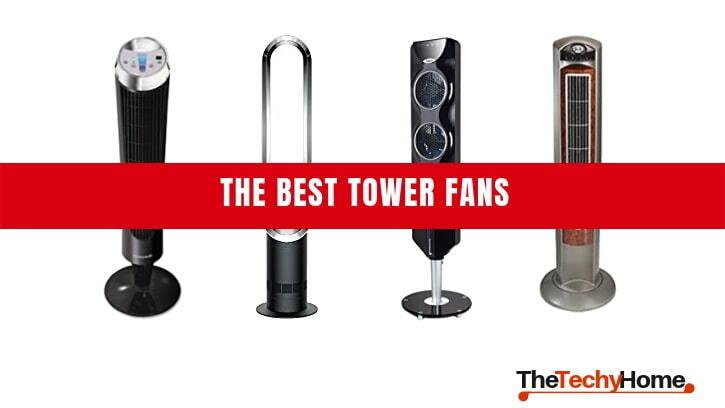 This chart will help you choose the best tower fan that meets your needs. 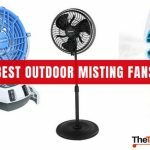 A tower fan is indeed different from the traditional circular oscillating fans, but the characteristics you should looking for in order to pick the best one are pretty much the same. Size, material, style, wight, and noise are all aspects you should pay attention to when choosing a tower fan. The fan must be of the right size in order to fit the corner. The style is also important so that it doesn’t spoil your interior design. The other two crucial factors worth considering are material and wight. The plastic has to be a quality and durable one or else opt for metal. The tower fan shouldn’t be very light so that it keeps on the ground and not so heavy so that you can move it around easily. Last point to check is that the fan is not noisy. 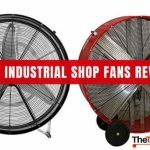 Many brands claim that their fans are quiet so verify that it’s true by checking the tower fan reviews to see what other customers say about it. What Are The Main Features ? The features of an interesting tower fan are : oscillation, remote control, easy-to-understand controls, auto-shut down, and filtration. Eventhough most fans oscillate, the ability to select different speeds is important so that you set it on a level that doesn’t disturb you. In a big room, a remote control is very important as you don’t want to get up to turn on or off the tower fan while relaxing on your sofa. Controls which are easy to understand will save the time to try every button out in order to guess it’s function. Another features, which would do good for your money, is being able to shut off automatically in case you fall asleep or leave the house while the fan is on. Finally, if air filtration is important for you, check if the model you’re choosing has this feature, but don’t forget that many tower fans with air filtration feature requires the replacement of filters which is adds to the long term cost of the fan. Air circulation is a characteristic you want to know before purchasing a tower fan. The right one depends on the space you want to cool. 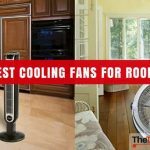 If it’s a small bedroom, you will not need a fan with high air circulation. But in case of larger open rooms, you will need something more powerful in order to have a better cooling experience. 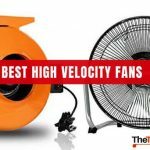 Again, make sure you check the tower fan reviews you’re about to purchase to have a more precise idea of the real power of the fan. It’s one of the few tower fans that has as much speed levels. This is important for people who are sensitive to noise or looking for the quietest tower fan for sleeping as it got 8 speed levels to chose from. It has a remote control, an auto-shut off feature with a 1,2,4 and 8 hours timer and an adjustable thermostat. The Honeywell HY-280 is also available in white color. 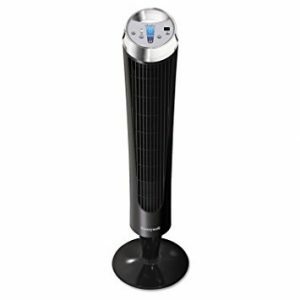 The Honeywell QuietSet has an oscillating feature like many tower fans which allows for cooling of wider areas. One of the creative design features on this Honeywell is the carry handle which is very nicely designed and make it easy to move from room to room. 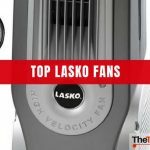 I’ve already mentioned the Lasko 2554 when talking about the quietest tower fan, and no doubt this is one of the best models in the market today. It comes with a remote control that gives access to various functions so that you don’t have to get up to change speed or shut it off. It also has a timer that can be set from 0.5 to 7.5 hours, which is useful so that you don’t worry about the fan if you’re outside and forgot to shut it off. Like most tower fans today, it has a 3 speeds which are quiet compared to many other fans. You can always set it to the lowest one in case you want to sleep and leave the fan running for a specific time. The Lasko 2554 is affordable and a best seller that has got a great deal of positive customers reviews. The Dyson AM07 is a successful combination of design, technology. This tower fan will fit into most any corner to provide you with smooth stream of air with a whisper-quiet, yet high speed, air flow. 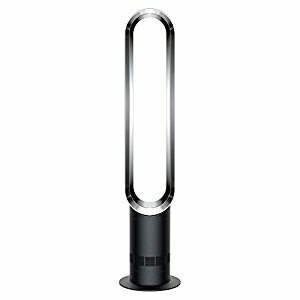 As you have noticed, the Dyson AM7 doesn’t have blades which makes it a very cool futuristic design. The unit works by drawing the air from the surroundings and then pushing it through the bladeless vertical area. 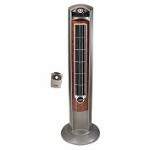 In addition to the sleek design, the features include a LED digital display, sleep timer with preset intervals, and a magnetized remote control that stores on the fan, oscillating tower.
. It also has the higher number of speed settings (10 speeds) which allows you maximum control over power as well as noise. 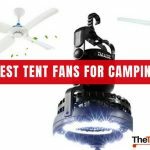 It’s very easy to set up and also easy to clean because it doesn’t have the standard fan grill and spinning blades which you requires more effort. Whit it’s three units that blow at the same time, the Ozeri 3x would pretty much pass for a sound speaker. The design of this tower is more than just appearance. The three fans are engineered to be separately controlled. In addition to that, you can chose from 3 fan speeds which means you will have 9 levels of air flow customization. Another design point, the fan blades are engineered to generate opposing sound waves to reduce blade noise thanks to their blade curvature design. 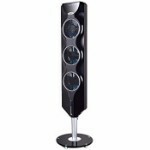 The Ozeri 3x Tower Fan comes with a remote control ans is also available in Grey and White color. This is the third Honeywell in our best tower fans list. The Honeywell Fresh Breeze is another high rated nice looking tower fan that many customers are happy to have at home. The remote control control that comes with it have the particularity to light up. The built-in flash light is useful at night where you have to avoid walking on hidden toys on the floor! According to consumers reports, the Honeywell Fresh Breeze is quiet and the sound is pretty much similar to a white noise so it won’t be much trouble to sleep while it’s on. It has 3 speeds, a timer function that you can for 1 to 12 hour shut off and oscillating feature for greater distribution of “Fresh Breeze”. The dust/pollen filter of this fan can be removed and cleaned which is a feature you can’t find in many tower fans. Many people are looking for a quiet tower fan for sleeping. The noise level of most of the best tower fans ranges from 55 to 68 decibels (db). 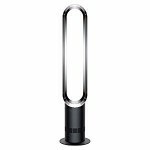 I have done a bit of research and I found a customer in a forum who reported that he had used 5 tower fans and the Lasko 2554 tower fan was the quietest of them all (even at full speed) and which he had been using for two years without problem. By the way, this one is “Best Seller” on Amazon, check here. 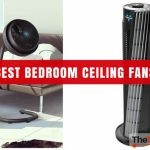 Although pedestal fans and tower fans appears to be the same, aesthetically speaking, the best tower fan that suits your needs have a great advantage than a pedestal fan because of its sleek tall lines which will mix better with your home decor. 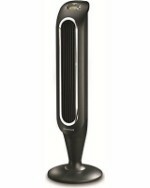 A vertical fan is also narrower than the circular one and will get in almost any corner. 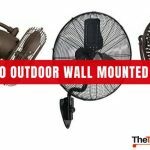 They’re also a better alternative to table fans as you will be able to move them around on the floor and slide them instead of having to place them on top of a table or desk which is not always handy. Reviews on Top Tower Tower Fans.